Let’s ignore the fact that there is a bottle of red wine in the fridge and get right to the Italian Food Rule: Wine or Water, Nothing Else. 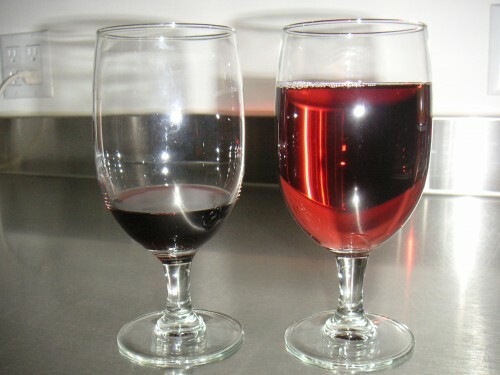 In the homes and good restaurants of Italy the only beverages served during lunch or dinner are wine (red, white, rosé or Prosecco) and water (frizzante (carbonated) or naturale (still/no gas). And remember that ice water (or iced wine) is a violation of another Italian Food Rule. For children and adults, alike, milk is not an option (see the Italian Food Rule on drinks such as caffelatte and cappuccino). Any Italian mother can tell you how milk interferes with a person’s digestion. Italians never drink coffee with food during a meal. It is sipped from tiny espresso cups after the last bite is swallowed. Don’t try to tempt an Italian with an extra morsel after the espresso is served. (It’s sort of the same as offering an American a cookie after they’ve brushed their teeth.) Also, coffee is never drunk throughout the meal in Italy because it too interferes with digestion – in an acidic way, rather than a curdling way – any Italian grandmother will tell you. However, the same nonna will also tell you that that shot of espresso at the end of the meal aids in digestion. 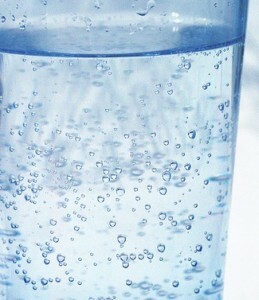 Juices, sodas, cocktails, and even sugarless ice tea all interfere with the flavor of the food. To savor the true taste of each ingredient is of utmost importance to Italians as well as those who truly love Italian cooking. 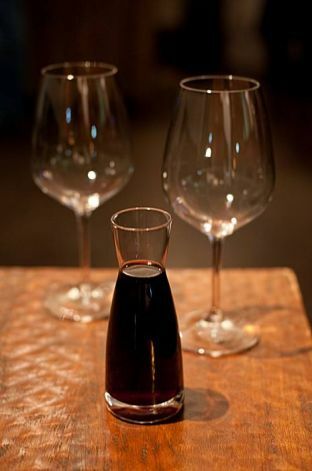 The only beverages that compliment Italian cuisine are wine and water. “But what about beer?” you might ask. Until recently, Italy did not have a rich beer tradition, but Peroni and Moretti have been around since the middle of the 1800s. Italians drink beer with pizza. This does not violate the Italian Food Rule: Wine or Water, Nothing Else, because pizza is not a meal. Pizza is … well … pizza. Neither wine nor water compliment pizza as well as beer does. Kids and teenagers celebrate the lifting of the “no sodas” ban on pizza nights. Then the next day it’s back to wine or water, nothing else. 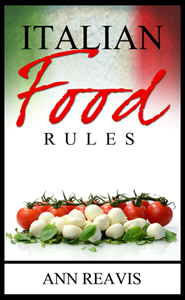 Italian Food Rule – No Doggy Bags! Some of the best stories are those that start in the same place where they end. The more things change the more they stay the same. 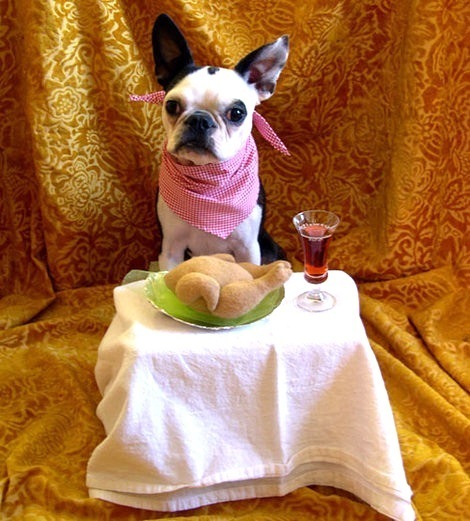 The Italian Food Rule: No Doggy Bags! has strange antecedents because according to some the doggy bag’s first appearance was in the 6th century BC … in Rome. Apparently, when invited to a banquet at the neighbor’s villa the ancient Roman would bring a napkin or two. It was a compliment to the host to take some of the dinner home wrapped up in your napkin. But perhaps with the fall of the empire the custom fell into disfavor. During the Middle Ages, the leftovers went first to the kitchen staff, then to the lower order of servants, and then out the backdoor to the beggars in the courtyard. Why don’t Italians ask for doggy bags? First, Italian food is made to order, to be eaten as the chef envisioned it, immediately as the dish arrives on the table. It is not to be eaten at another temperature (cold pizza), in another form (bistecca alla fiorentina sliced in a sandwich), or mixed together (pasta alla carbonara with a chunk off a veal chop resting on top). Second, servings in Italian restaurants tend to be of the appropriate size so that the diner does not get too full by eating everything on the plate. A light eater does not order an antipasto, a primo, a secondo, and a dolce – one or two courses is enough. Third, Italians look at food left on the plate as scraps, not leftovers. There’s a difference. It’s not good manners to ask to take home kitchen scraps. 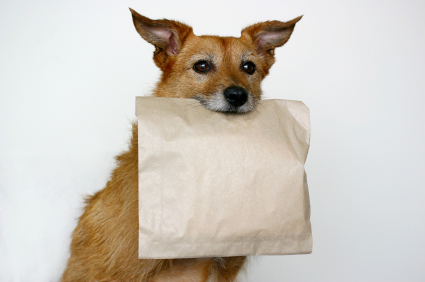 Today, there are a few reasons why Americans whole-heartedly adhere to the doggy bag ideal. First, most restaurants in the United States believe that their customers do not think they are getting good value for their dollar if the serving size is not at least twice the size of what a normal person can eat at a sitting. In other words, the customer expects to get one or two extra meals out of an evening at a restaurant. Third, Americans are the first to start recycling their waste and in the same way they look at leftover food as a product to be recycled in future meals. 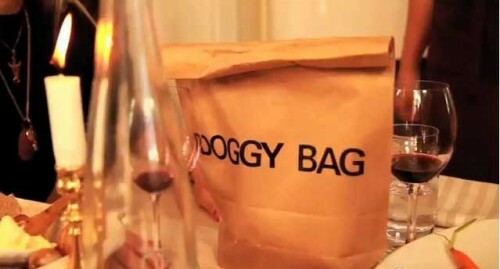 Un Doggy Bag, per favore? The Italian Food Rule: No Doggy Bags is starting to crumble. Some say that Michelle Obama is to blame. In 2009, Michelle was in Rome during the G8. 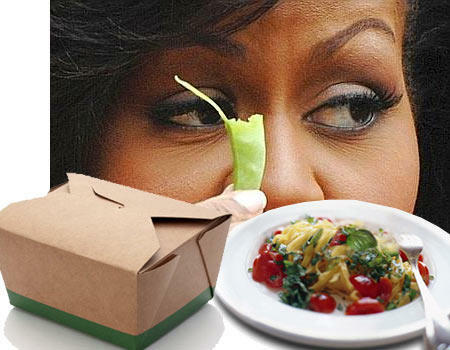 This news item was widely-reported: “The Coldiretti Society of Italian Farmers heartily praised Michelle Obama for her progressive use of the doggy bag during the recent family’s stay in Rome.” Michelle, together with her two daughters, dined at the ´I Maccheroni´ restaurant near the Pantheon. The family ordered three pasta dishes – carbonara, amatriciana and bolognese – but the meal turned out to be too hearty for the three Obama girls. 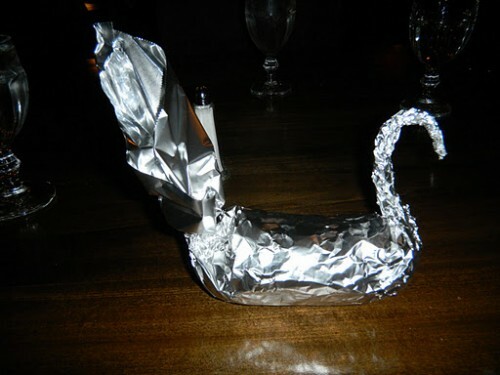 And so Michelle asked the waiter to pack the leftovers into a bag to take home. By 2010, a non-profit group that works with homeless people in Milan, Cena dell’Amicizia, began a project called “Il buono che avanza,” (“The good things left over”). Restaurants in the Milan area can voluntarily take part, whereupon they are provided with doggy bags and a sticker by the non-profit. “The idea is to fight the idea of a throw-away, consumerist society where waste is normal and recycling (even of food) is looked down upon,” claimed Cena dell’Amicizia. 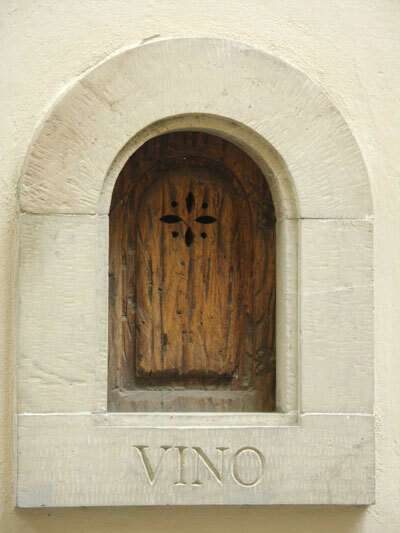 In the Piemonte region there is a movement, not so much for waste, but to prevent drunk driving, to provide take-away bags, called buta stupa (“corked bottle” in Piedmontese dialect), for leftover wine. What about the rest of Europe? Even the Brits are coming around (although no news from the French). 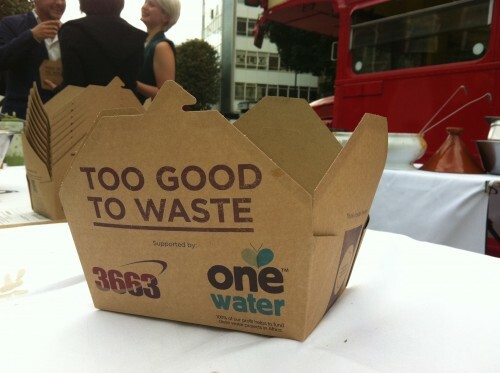 Last year, The Too Good To Waste campaign was introduced to reduce the amount of food waste in restaurants. The average London restaurant produces 21 tons of food waste every year, research by the Sustainable Restaurant Association found. That’s the equivalent to the weight of three double-decker buses. Too Good To Waste is encouraging diners to be “lovers, not leavers” and ask for their leftovers to go. They, too, have created a distinctive take-away cartoon for the crusade. It seems Italy and Britain are not alone in trying to break the Food Rule: No Doggy Bags; in Sweden (also in 2011, a magic year for doggy bags) a campaign was started to prevent waste in restaurants. Among other things, the promoters convinced the rapper Dogge Doggelito from the The Latin Kings, one of Sweden’s first hip hop groups, to participate in their doggy bag promotional film. In the film, Doggelito overhears a couple quarrel about something the man finds embarrassing, and takes for granted that she wants his autograph – when in fact it’s a doggy bag she wants. 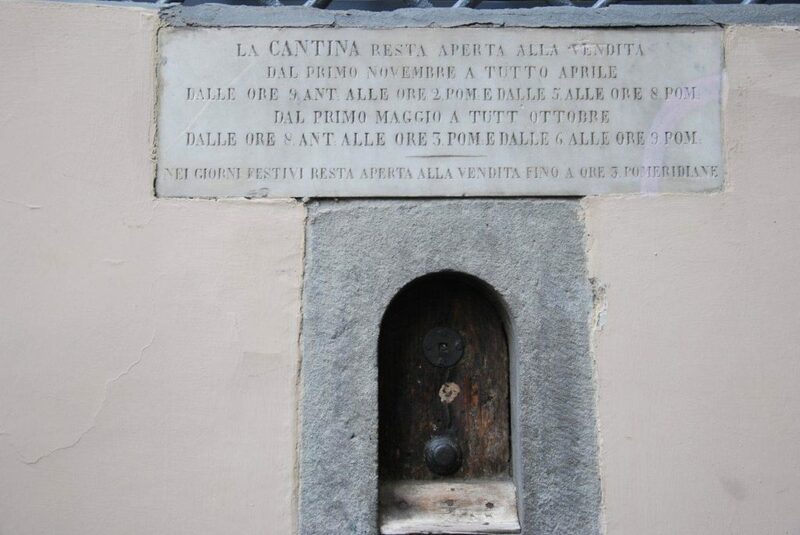 From all appearances, Florence and Tuscany will hold tight to the Italian Food Rule: No Doggy Bags! Florentines may be willing to recycle their trash, but leftovers do not constitute food in a region that prides itself in a cuisine that has not seen change in centuries and is not ready for reheating in the microwave oven. 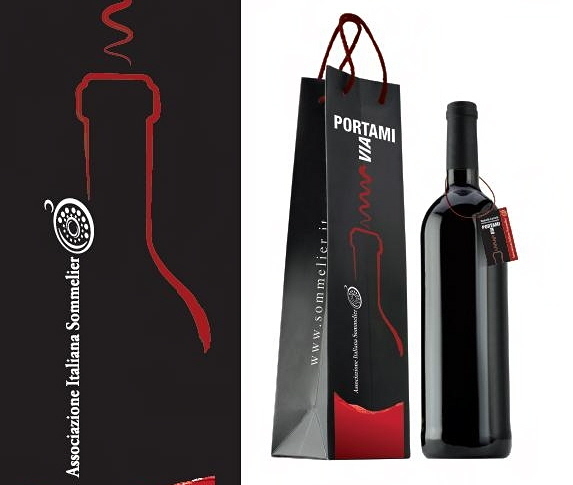 As a baby step, Tuscany may agree to follow the national Associazione Italiana Sommeliers, which is promoting Portami Via, a move to provide take-away bags for leftover wine.